Old Passport? What’s the Use? Here’s a few words on why you should keep your out of date passport. Why should you keep that expired passport (besides admiring your perfect picture, of course)? It’s proof of your US citizenship! So long as your appearance doesn’t drastically change and you are recognizable as the person who is pictured in your old passport, it can be used as proof of your US citizenship! Pretty cool, huh? This way, if you ever lose your VALID passport (not that you will) and need to get a replacement, you can submit a cancelled passport as proof of your US citizenship instead of going through the trouble of producing your original birth certificate. It’s proof of your identity! Of course, you should never find yourself in the situation of having both your passport and/or driver’s license lost, stolen, destroyed, etc… In the terrible case that you ever do, that old passport document can be easily used as a means of getting a new driver’s license. To put it simply and not too cornily, your passport is a tangible record of all the countries you’ve visited in your travels. Of course, flipping through those tattered (although, hopefully not) pages and reliving all of your stamps is such a moving way to reminisce! In addition, It’s also fun to look back at your old, dated photos, or maybe a the passport of your little one! Take your photos like a pro and be sure to message us at ePassportPhoto to get quick guidance from our representatives! This entry was posted in Uncategorized on October 11, 2016 by Jesse. Clear Your Passport Ahead of Time! Most likely, after a lengthy international flight, the last thing you’ll want to do is deal with the hassle of passport checking, subsequent lines, and maybe a cranky family to boot. Are you just trying to get home to a hot shower, or the welcomed site of your four-legged, furry friend? No matter who or what is waiting for you when you exit the plane, we know what you don’t want to be standing around for an additional, unspecified length of time! Get smart with preclearance and enjoy your flight! Although It’s not so commonly known, preclearance is not a new program, by any means. In fact, preclearance facilities have existed and operated outside the US since the 1950’s. At overseas airports with those US preclearance facilities, travelers go through exactly the same entry procedures that are usually followed at the arrival airport in the US. This includes passport control, customs, and even agriculture inspections. This way, when you arrive in the states, there’s no more hassle than a domestic flight! Get to the finish line faster! Additionally, you should know that the amazing benefits of a preclearance program extend far beyond convenience to those affected. It is also an absolutely pivotal gain for national security, as this process acts as an extra layer of protection and scrutiny to make sure that terrorists or potentially inadmissible people are not allowed to board flights to America! Oh, and by the way, every single US-bound traveler who is flying out of an airport with preclearance facilities may use said facilities! This is true regardless of whether or not the traveler is a US citizen! No matter if the passport holder’s citizenship was acquired by naturalization or by birth to a US citizen guardian, if the individual was born outside of the United States, the resulting passport will list that country of birth, without the extra bit! If the country you were born in has not gone through territorial changes/name alterations, the process is easy and fairly intuitive! However, with en ever-changing globe and a constantly-carved world stage, what happens to the fine print? The State Department regulations require that the current name of the country that has sovereignty over your city of birth should be listed. By this logic, if you were born in Moscow in the first half of the 20th century, your US passport will list your place of birth as Russia, even though the country was the Soviet Union at the time of your birth! Get it? Did you know that passport validity requirements differ from country to country? Find out how long you’ll need in order to stay mobile! Mexico – Six months validity required! Canada – Passport must be valid upon entering! United Kingdom – Passport must be valid your the entire period of stay! France – Six months validity required! Italy – Your passport must be valid for at least three months past your scheduled return! Spain – Your passport must be valid for at least three months past your scheduled return! Jamaica – Passport must be valid when you enter! Bahamas – Passport must be valid upon entering! Dominican Republic – Passport must be valid upon entering! Costa Rica –Passport must be valid your the entire period of stay! This entry was posted in Uncategorized on October 10, 2016 by Jesse. Passports and Cruises, oh my! Cruises are undeniably great vacation plans! From the very moment that you step on board, don’t worry about a thing! Think about it! You only have to unpack your bag once, you never have to question where and when you’ll be getting that next meal, and you can enjoy the night time entertainment around the corner! In order to make sure you’re allowed to board, you’d be wise to double check your passport and make sure that you have the right travel documentation to get out and go! It’s possible that you’ve heard of the closed-loop cruise, when folks are discussing Caribbean cruises, in particular! What does it all mean? This is simply a term used to signify that your cruise begins and ends at the very same port in the US! It logically follows, then, that you’ll need proof of US citizenship to get on board. 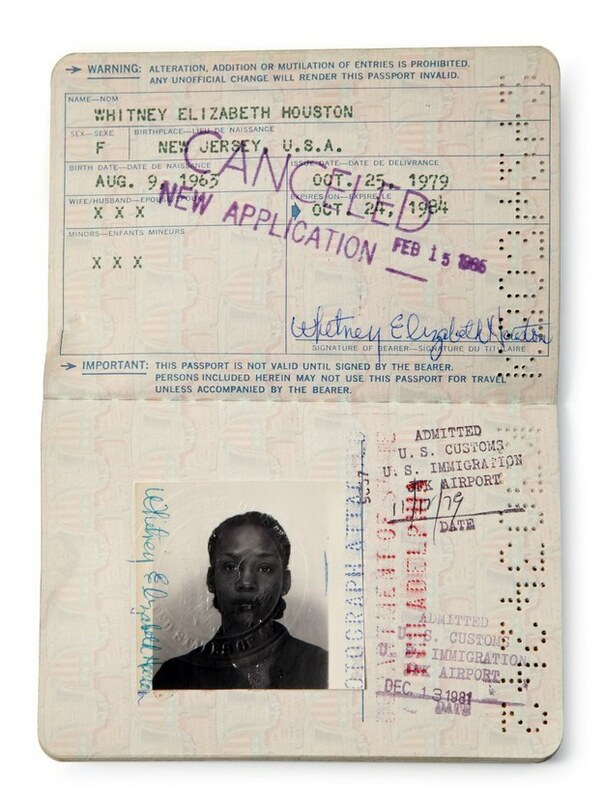 A passport is undoubtedly the most successful way to prove citizenship, but an original birth certificate showing birth in the US (along with a valid driver’s license) is also considered solid proof of citizenship. Every single cruise line recommends that passengers have a passport book valid for at least six months past the scheduled end date of the cruise. This entry was posted in Uncategorized on October 6, 2016 by Jesse. Here’s an interesting tidbit from the passport universe! 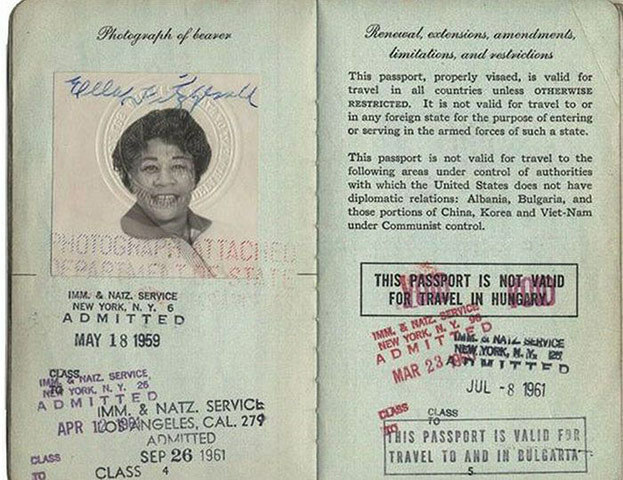 Second valid passports are defined as limited validity US passports. Travel to the Middle East! If you’re planning a trip to this region of the globe (Libya, for example), you won’t be allowed to enter if you have entry stamps from Israel in your passport. This would ban you from experiencing this most incredible reach of the earth! Got two trips back-to-back, where the second requires a visa? If you need to have your passport to get a visa at the same time you have other international travel plans, you can easily opt to obtain a second valid passport to avoid the issue, entirely. Packing your travel luggage is a necessary part of every trip-whether for business, or pleasure! What kind of packer are you? “Know thyself,” as they say! Are you a list-maker, a last minute rusher, or somewhere in between? Do you take pride in your packing skills or could you use to sharpen up? Check out the tips below to stay on top of your travel needs! As you probably are already aware, the almighty carry-on bag is totally essential piece of the plane travel experience. Usually, airlines allow you to bring on one carry-on suitcase that will fit in the overhead bin, and a single personal item. This would include a purse, computer case, or a smaller backpack. As airfare goes through the roof and checked baggage fees follow, many travelers are perfecting the mystifying art of fitting their stuff in to carry-ons! TSA will be screening your average carry-on bags before you board your flight and head towards your destination. New limitations on carry-on materials in recent years have led to a more complicated airport procedure, but fear not! Yes, the ban on large containers of liquids is often the most troublesome and difficult to grasp for travelers. If you have shampoos, lotions, or other luxury toiletries you’d like to travel with, you can purchase those pesky little travel-size containers. Repurpose some old bottles to save a buck! Definitely make sure that anything you know you’ll want to use during the flight is packed into your aforementioned personal item bag, which you can keep under the seat in front of you! Your plane mates are discouraged from opening the overhead compartments while the plane is in flight and It’s definitely best that this convention is observed! Grab what you’ll need to make it through your lengthy flight! Your average travelers will be prepped for flying and airport waiting periods with an arsenal of snacks, gum, mints, etc…Remember, if your flight doesn’t have meal service, you may even want to purchase a meal in the terminal and carry it with you! Bring a doggy bag from your favorite spot, or pack a meal from home to save! Ever wished you could be the lucky holder of a passport from another country? Dual citizenship, defined as having valid passports from two different nations, can certainly offer a lot of advantages. The most important of these being that it gives you the legal right to live and subsequently work in several countries. Additionally, this can allow you visa-free access to many more nations, even as a temporary visitor. Now, United Kingdom citizens are scrambling to acquire that essential dual citizenship in the wake of the chaotic and unexpected Brexit vote for the UK to formally leave the European Union. Folks understandably want to get a passport from a European Union country/territory, which would allow them to work, study, and simply live in any EU country. Interestingly, people born in Northern Ireland (which is technically part of the United Kingdom) have an uncharacteristically easy time acquiring citizenship in the Republic of Ireland. Simply by being born in Northern Ireland, these lucky residents are eligible for both British and Irish passports! On a different note, one of the most sound methods of becoming a citizen of another country is by moving to and living in that country for several years. As you might know you’ll be required to have a residence visa to start out (so you can legally live in the country while waiting to become a citizen). Glasses and Your Passport Photo! 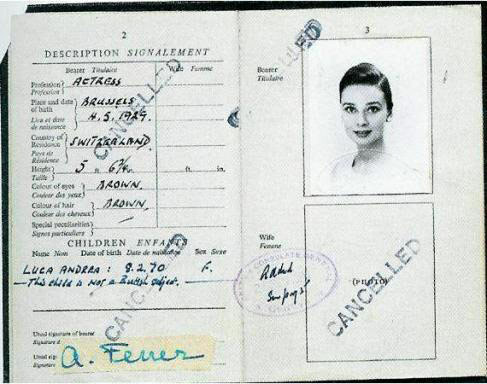 The good ol’ United States is not the first country to insist upon glasses-less passport photos. Many other countries share this stipulation and for some places, this extends to Visa photos. France and the United Kingdom, for example, do not allow eyeglasses in passport photos. Read below to find out why! In the past, the US had only banned the wearing of sunglasses or glasses with any sort of shaded/tinted lenses (anything that would make it hard to see the holder’s eyes. Additionally, a rule was in place that if the applicant wore glasses in the photo, the risk of glare would have to be considered and dealt with prior to submission. Of course, this too, would hide one’s eyes. Glare is a classic issue for eyeglass users and similarly, this has been a problem with passport photos. According to the state departments, this is actually one of the top reasons that passport photos are rejected by the Passport Agency. With this more recent rule against wearing glasses in passport photos, the agency will ensure that nobody will have this problem for long! Another significant component of the decision to have glasses banned in passport photos is due to biometric passports! These passports store basic data about the passport subject or holder on a small computer chip, which is conveniently embedded in the passport. This pretty basic data includes your name, your birth date, and of course, passport number. In addition, you should know that passport photo can also be converted into biometric data! A computer program can easily analyze a scan of your photo and take quick measurements of your face, like measuring the distance between your eyes, for example, and store this information as biometric data. Don’t be scared of this spooky-sounding program-It’s just an electronic/digital passport. It logically follows that if you wear glasses in your passport photo, it makes it more difficult for the computer program like the one described above, to take accurate measurements of your features. Traveling with Your Furry Friend! Taking your pet on your next getaway? Don’t trust your trusty companion in your absence? Traveling with your dog or cat can certainly pose some obvious challenges! However, with, a little bit of painless planning, the sky’s the limit (pun intended). Follow these quick insights to ensure a smooth trip for your beloved pet! Specify the Travel Process of Your Destination! Quarantining is a difficult process, which for obvious reasons, can freak out a lot of common house pets. Incoming dogs, for example, are sent to a government-controlled kennel facility to and kept in isolation until it is deemed that he/she does not carry any communicable/transmissible diseases. Additionally, pets who are quarantined may have to spend several months in the dreaded quarantine facility before they can be reunited with their owners! Rough, huh? Here’s the good news: If you can provide appropriate paperwork to show that your animal is healthy and fully vaccinated, your pet should be all set to accompany you, hassle free! Check the Pet Passport Demands! This name was cleverly coined by the European Union, in order to facilitate travel for domesticated animals through new territories. Veterinarians in Europe can assemble these nifty passport books for your dogs, cats, and ferrets that contains all of your favorite animal’s health and immunization records. After your pet has obtained that EU pet passport, they will be able to travel alongside their owner across the continent (and yes, the U.K.). Outside of the European Union, if you hear folks referring to “pet passports,” don’t be fooled! These aren’t the actual aforementioned passport books, but this term is just used to refer to the health records that your dog or cat will need to travel internationally, in any capacity! It’s key to note that In the United States, such documents are issued by your local veterinarians and by the United States Department of Agriculture! Your last stop should be at your vet of choice’s office. First, your vet should determine whether or not your pet is healthy enough for travel! This is especially key if your furry friend is going to be enduring long flight routes, dangerous weather, etc… If you get clearance, take to the skies! Be sure to message us at ePassportPhoto to get quick guidance from our representatives! Double Up on Your Passport! The immediate opportunities that come with getting yourself a second passport are many! Moreover, these benefits are especially desirable to those living in a desperate governmental, or political situation/environment. Check out some of the perks that accompany a second passport! Obtaining a second passport can open up a real set of distinct possibilities for your assets and income that are certainly limited for most citizens. This last piece is particularly true for Americans, in terms of opening up foreign bank accounts prior to closing old ones. As a result of this mounting list of severe regulations, some foreign banks have determined that the costs of compliance outweigh any benefits of having Americans use their services! As an American, opening a foreign financial account is an incredibly daunting task, with some real obstacles to overcome. In a way, these regulations are a sort of capital control. Similarly, obtaining a second passport can also make purchasing real estate abroad a significantly easier experience. Of course, certain EU citizens have fewer limitations than others. If your country of origin’s government has gotten heavily involved in the complicated internal affairs of other nations, it could definitely make you a target for criminal activity, terroristic events, and other rare, yet life-altering foreign affair crises. Of course, there are passports with minimal foreign policy blowback risk! The true value of a good passport isn’t how much you pay to get it in the first place, but how much visa-free travel it allows for! Applying for a visa document that must be pre-approved is a real hassle. Additionally, confronting obstacles to getting that visa can be frustrating, especially right before a trip. On this note, Brazil, Chile, and Argentina all collect a standardized visa fee from travelers who show a US passport. Afghanistan has one of the least useful passports, while the Finnish passport will really get you places! This entry was posted in Uncategorized on September 29, 2016 by Jesse. As a basic rule of thumb when traveling, try to carry just the basic necessities and keep cash/ other valuables in a very secure pocket or bag. Of course, you should always remember that if you put those belongings down, they should stay in your line of sight! Ask a “spotter” to watch your stuff while you run to the restroom! Make sure that you’re entering marked or otherwise designated transportation services before heading out for your daily travels abroad! As such, if you truly don’t need your passport or other valuables while you’re out hitting the streets, leave them at the hotel, hostel, or other residence. Above all else, you should definitely trust your instincts and be aware of anyone who may be invading your personal space, even subtly! If you have the luxury, using a hotel safe to store your passport is particularly wise idea. Of course, becoming a victim of theft could easily ruin your trip and beyond this letdown, replacing that pesky passport will cost money and time! Keep you passport protected at all times and be sure to message us at ePassportPhoto to get quick guidance from our representatives! This entry was posted in Uncategorized on September 28, 2016 by Jesse. Beware of Canadian or Mexican border crossing without a passport! The penalties may be graver than you think! In compliance with international international law, one needs to have a valid passport whenever crossing the US border. Additionally, if you’re crossing the Mexican/Canadian border by land or sea, you could also use a passport card, as well as various other government-issued documents. The law which dictates the above has been in place for upwards of seven years and when a US citizens attempt to cross the border by land without a passport or other accepted proof of identity, the consequences are rough! Still, It’s estimated that up to 1% of US travelers entering the US lacks proper ID! So, exactly what does happen if you enter the US without a passport? If you’re driving or even walking back into America from Canada or Mexico and you don’t have a passport with you, you should be prepared for some serious hassles. Although you won’t be necessarily denied entry to the United States, you can be sure that you’ll get taken out of line and subsequently interviewed by US Customs and Border Patrol officers. Your return to the US will be delayed until the officials are satisfied that you are a US citizen. As it stands, there is no determined fine for US citizens who don’t show a proper passport when at the border crossing. However, as of late, an amendment was proposed, which would serve to fine on any US citizen who attempts to re-enter the United States passport-less. Before you panic, this rule is still in the review stage (although It’s being taken seriously). Additionally, this fee is intended to cover the lofty costs of the “extra” inspection/security measures required to admit a US citizen without that essential passport document. There’s a certain level of damage that governments will allow of your passport, before being instructed to apply for renewal. You know, the stuff that occurs from normal handling and use. If the rim of your passport is torn or fraying, no worries! Government agencies take into account that your passport is regularly tossed around, as well as pulled out of some tight spots. Think of all of the frantic airport workers and flyers, alike, dropping, squeezing, and scanning the documents ad infinitum. Of course, some countries’ rules are tighter than others and in the end, the final decision about whether or not your passport has sustained too much damaged is simply up to the attendant/government agency representative. Additionally, some airlines may refuse to allow you on board if your passport is just too beat up. As with everything related to travel, It’s better to air on the side of caution. Long story short, keep an eye on your passport’s and save yourself some unneeded hassle. As you might have imagined, if your document is seriously damaged, or the page containing your identification has sustained too much damage and therefore cannot be swiped by the authorities, you will sadly need to replace that bad boy. This entry was posted in Uncategorized on September 23, 2016 by Jesse. Voting overseas sounds daunting. Maybe it doesn’t have to be so! Check these tips below to be prepared for change, not behind it! As an American citizen, as you know, your vote is a fast track to expressing your own, authentic voice. This is one of the integral cornerstones of our modern democratic society. From voting in a new representative, to adamantly fighting for important, groundbreaking social justice-oriented legislation (oh, and that whole electing a president thing), you’ll be able to fulfill your basic rights and responsibilities as an American Citizen from a foreign state. In other words, just because you will be abroad during an election does not mean that you have an easy out! American citizens who are residing in a foreign country during election cycles can absolutely exercise the right to vote! The Federal Voting Assistance Program makes it really easy for families, as well as lone individuals working or simply traveling abroad, to register and receive their absentee ballot. In order to this absentee thing, you will need to present a copy of a valid passport when you do cast that vote, so be sure that it does not expire anytime soon. With several million Americans residing abroad, this rather large population of voters is actually sometimes considered their very own swing state, which makes sense, if you think about how “red” or “blue” said population could be. Of course, a lot of Americans don’t know how easy it is to vote from abroad, and as a result, there’s a sizable American population that doesn’t cast a vote, at all. New Passport Requirements for Italy, France, and other heavily-trafficked areas are changing the way that folks travel! Before you pack your bags for your summer ventures, we’d suggest checking the most up-to-date passport requirements for your destination of choice! Because entry requirements for international locations aren’t universal, they can and, by all means, do change pretty frequently in response to the global political and environmental climate. Territories including France, Italy, and even the US have recently changed their entry requirements for visitors from abroad. Until recently, Italy and France required that US citizens have a passport valid for at least three months past their planned European departure . As this has recently changed, both France and Italy now require that travelers have a passport valid for at least six months past the last date of their planned stay! As you might imagine, a large number of unlucky travelers have learned about this alteration the hard way, when they get to that pesky TSA line and receive the bad news! In an act of leniency, some European countries still allow US citizens to enter with less than six months passport validity. This includes regions like Germany and the Netherlands, which require for only three months validity! This variation is on the books currently, but with the ever-changing and increasingly globalized world, the exact fate/trajectory of the passport remains undetermined. As it stands, US citizens are allowed to stay in the country of travel for up to three months without a visa in “Schengen area” nations. These countries require that travelers have at least three months of passport validity, compared to the aforementioned six months validity. Now, with Italy and France becoming part of those stricter nations that require at least six months validity, It’s increasingly possible that European countries will follow suit! Ridgewood, Queens is a true NYC gem, with a bustling Mexican, Polish, and Chinese population that thrives on unbelievably rich food culture! Located on the Bushwick border, the region has become a distinct blend of multi-ethnic and economically diverse backgrounds. Read below for the writer’s personal favorites for mighty fine eating. This hole in the wall taco shop is an incredible representative of the thriving Mexican food culture presence that dominates the picturesque, sleepy streets. Mally’s 2 is a single-person kitchen, run by an incredibly hard-working and masterful purveyor of classics ranging from fried whole fish, to to-die-for tortas! Be sure to try the chicken tacos with extra green salsa – this place is easily overlooked, but ripe for taco fanatics of all likes. In Ridgewood’s Polish subsections, Norma’s reigns supreme. With lines that easily overrun the otherwise peaceful Queens block, this place is the brunch spot for hipster newcomers and long-time residents alike! Homemade bagels and biscuits are certainly worth waiting for and with imaginative and refreshing sandwich combinations, this neighborhood cafe is anything but ordinary. You’ll never enjoy a more balanced cup of coffee than at this breakfast staple. If you’re dying for the most authentic Mexican food experience that doesn’t break the bank, check out this absolute hub for Mexican imported goods, and a kitchen that produces pure culinary delights. The heavenly tortas and deliciously shred-able queso hebra from cheese display make this spot a total winner. With delivery to boot, there’s nothing stopping this powerhouse peddling the realest deal around. This entry was posted in Uncategorized on September 22, 2016 by Jesse. You probably watched some coverage on the somewhat infamousSummer Olympics in Rio-It didn’t just set records in swimming and weightlifting but perhaps also in number of passport seizures during the games! Of course, the most publicized passport seizures occurred after multiple US olympic swimmers (yes, including Ryan Lochte), did some college-style property damage a Brazilian gas station after a night of olympic-proportion drinking. As the relentless media frenzy ensues, it makes sense to start asking questions! So, what exactly is a passport seizure? Who has the authority to seize a passport? And, of course, why? What Is a Passport Seizure? This ominous term refers to the act of a passport being confiscated by a government-authorized official so that the passport holder cannot exit or enter a territory/country. Additionally, passports may be seized by foreign governments if the subject is accused of committing a crime in the midst of traveling internationally. In extreme cases, passports can also be lawfully seized by the government of issue while the holder is at home in order to prevent flight out of the country (awaiting trial, criminal investigation, etc…). Certain countries have even been known to seize passports for political reasons, including preventing protesters and journalists alike from leaving the country (pretty messed up, eh)? You should know that passport seizures are commonly temporary and the aforementioned process is not the same as cancelation or revocation. It’s incredibly important to note that outside the US, the physical seizure of passports is usually the work of police officers and furthermore, the order to seize the passport could come from branches of the country’s government and is frequently ordered by a judge, or some other member of the judicial branch. You’ve got a lot on your plate while planning your next getaway! Don’t forget to nail that photo to ensure success at the gates! Get a Picture Perfect Passport and Prevent Delays! Wouldn’t you know it,? September is National Passport Awareness Month! What better way to celebrate than by killing it at your home passport photo shoot! Here’s the sad truth: Every year, around 200,000 US passport submissions are flat-out denied because the photos don’t meet the government-issued standards. We want to guarantee your passport photo success! According to a little group called the US State Department, there are some predictable problems amongst pesky passport photos applications! Remember that passport photos must be 2X2 squares and if it’s been printed on a larger piece of photo paper, it will surely need to be cropped and cut. Keep in mind that your face must also be 1 inch and 1 3/8 inches from the bottom of your chin to the top of your head!Avoid rejection by sizing your image to government-issued regulations! Obviously, your photo(s) will need to be well-lit and without shadows. When your photo is printed out and all, take the time to make sure that it’s not too dark or too light. Photos that are overexposed or washed out will surely be rejected. Additionally, your photo will be required to have a white background! As you probably already know, your passport photo must be relatively recent and reflect your genuine current appearance. Thus, if your photo was taken more than six months ago, be sure to safely destroy it and get yourself a new travel document! Simply, here are the tips for getting underway with your US passport! Bon voyage! Have the Documents you need! The necessary documents are a simple Proof of Citizenship and Proof of Identity. There are a number of different documents that can be used, however. This depends on whether or not this is the first time applicant, or if the passport is intended for a minor. Birth certificate for those born inside the US. *These items should include both your photo and your signature! *In the absence of an ID, you will need two forms of secondary identification. With fairly lenient protocol on this front items like a social security card, credit card or even a library card will do. In fact, one can even appear with a witness, who will need their own sufficient forms of ID. This entry was posted in Uncategorized on September 21, 2016 by Jesse. Ok, so it might not be a shoot for Vogue or Vanity Fair…but if It’s travel you want, celebs need to get in line like everybody else! If only ePassportPhoto.com could have assisted! Check out the serious charm brought by this performative power houses! Wanna hit the sand and surf during your time in the Las Angeles area? We’ve got you covered. This legendary spot is just north of the famed Santa Monica Pier. Santa Monica beach is one of the most popular in the LA area and at a whopping 2 miles, It’s easy to see why. The sands seems to go on forever, with room enough to kick your feet up. Bring gear to set up for volleyball, or go for a sandy bike ride along the coastline. Bring a beach towel or blanket for this one and don’t forget to have some cash on hand for parking! Relax and live it up at this unforgettable California treasure. There’s a distinctly hip reputation about this spot and the surrounding community that you won’t find at other Las Angeles beaches. You’ll encounter folks shopping and relaxing in outdoor cafes as you catch other sun-soakers that frequent the sandy shoreline. One particular area to visit is Pier Plaza, a nice break from the sand and surf. Paved walkways make for most excellent biking, blading, or walking! People watching could not be more entertaining at this classic diamond in the rough. Somehow, the freakish and unbelievably charming boardwalk outshines the Pacific Ocean flanked beside it. As you’re strolling the strip, keep your eyes peeled for the legendary turban-sporting guitar player on roller blades, who has appeared famously in numerous films and TV shows. Of course, this is also a prime location to see envy-inspiring bodybuilders, chainsaw jugglers and a variety of palm readers. Meet the street vendors and artisans defining California beach culture. Are all passports created equal? Not quite! Passports from different countries actually grant document-holders access to differing numbers of countries/territories. Curious about how your country’s passport fares? This ranking shows which passports give holders the most global mobility, based on how many countries can be visited without a visa, or by getting one when you get there! As demonstrated by these findings, developed countries with advanced economies fare the best when it comes to passport mobility. Unsurprisingly, tied for first place are U.S. and U.K. passports, which give holders access to 147 countries. Passports from the world’s most populated country, China, offer access to 74 countries! Indian passport holders enjoy 59 destinations. A Russian passport provides 98 country options! This entry was posted in Uncategorized on September 20, 2016 by Jesse. Pinning down the best eatery in any bustling city can prove to be a challenge, especially one with such a competitive and explosive culinary scene! Here’s a few specialty spots to check off your list! The importance of this legendary Italian bakery could not be overstated. This is undoubtedly one of the city’s best! Mike’s boasts the best cannoli’s in Boston, which is certainly saying a lot considering the scope and authenticity of the city’s North End-based Little Italy. Though lines can easily reach astronomical levels of 20-30 minutes for a single pastry, this place runs like a well-oiled machine! Marvelous twine dangles from ceramic orbs for lacing up the perfect pastries. When asked if you’d like powdered sugar on that strawberry cannoli, do yourself a favor and say yes! This pig-loving gastronomical treasure is tucked away on a quiet side street in Boston’s South End. This world-renowned joint offers Italian small plates by a couple of “okay” cooks…just kidding! How about two James Beard Award-winning chefs? Ken Oringer and Jamie Bissonnette have graced the streets of Boston with this gem of an eatery. Be sure to book far in advance and find a special event to make it worth every penny! This place is entirely off the beaten path. This small-time artisanal Italian specialty goods store has more to offer than can be described in text. The key is following the memorizing scent of the brick oven at the back of this single-room restaurant. From squid, to prosciutto and fig pizzas, perfect cutlets, and pounds of imported cheeses and cured meats, Peppe Bocca is not to be missed. Pick up freshly-baked breads and even cop some of Peppe Bocca’s own pre-made pizza dough. Pro tip: ask for that at the pizza oven! Eating Out in NYC’s West Village! Manhattan’s historic Greenwich Village is a mainstay of New York culture, from Stonewall, to beat culture, to celebrity residents galore! With such a high concentration of exceptional restaurants, picking just one can be a serious headache! We’ve got you covered for all things West Village! No words can describe the sensory bliss of entering this old school Italian pinnacle of all things delicious. In a particular hub for Italian specialty eats, this bakery is a relic of old New York. This spot wins a personal vote for greatest cannoli in New York and the write is not afraid to say so! Crisp, flaky shell crumbles under a luxurious, velvety ricotta filling, not too tart or overly sweet. This treat is the truly the gem of Bleecker Street. Stop by for the lobster tails, Italian wedding cookies, and just about everything else. The espresso bar is not to be taken lightly, either! This iconic Vietnamese eatery boasts a crazy line at almost all hours (lunch in particular), and for good reason! With the finest banh mi in town, Saigon Grill is a breath of fresh air and seriously fresh food in this densely populated culinary mecca. Enjoy a host of asian delights, from pho, to a totally unique and unparalleled cold noodle appetizer. Soups and solid are winners, for sure! Call ahead to save yourself some time in line! This famed hole in the wall pizza shop is obsessed with perfecting a small array of particularly excellent Italian delights. The Artichoke franchise has expanded since It’s flagship restaurant opened from a serious familial legacy in Manhattan. The namesake slice is basically bread, generously blessed with a heaping portion of cream sauce, swimming with gently-roasted artichoke leaves. This may be a pricy slice, but seeing as how this particular piece of pizza is filling enough for a day, it always makes sense for pitstop another Macdougal Street treasure, even at night (grab a cold one, while you’re at it).